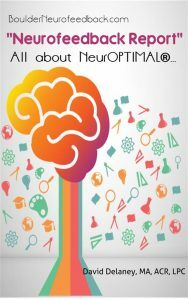 Adaptability is the very nature of our Central Nervous System (CNS or brain) which NeurOPTIMAL® Neurofeedback takes advantage of in its unique, non-linear training approach. The other way to say brain (CNS) adaptability is neuroplasticity. Research in the last 15 years has demonstrated just how changeable our brain really is, both physically and behaviorally. Standard neuroscience twenty years ago insisted that most of the ability for brain adaptability stopped at eighteen years of age. Now we know that this is absolutely false! Our brain is ever changing, based on what is needed for our survival. Stroke patient’s brains find alternate pathways in order to build new functional connections. The blind have larger areas in their brain in direct relation to their need to read braille. Research shows the the brain lives on the border between chaos and order, just like an avalanche or hurricane or a heart rhythm. This is how it is able to adapt immediately to internal and external changes in the environment. It is capable of huge information processing capacity because of this characteristic. These system responses are quick and complex, even with minute changes in feedback. When talking about survival, which is what the CNS is all about, we are not discussing our thoughts, ideas, or theories about it; we are pointing to instinctual responses that are below our conscious awareness- instincts. So in order to benefit from the brain’s self-regulating ability, we need a way to communicate with it in its own language. NeurOPTIMAL® neurofeedback training does exactly this. The equipment feeds back to the brain just exactly how it is behaving moment to moment, and because the brain is instinctually adaptable, it changes itself. It can’t not- Neuroplasticity! 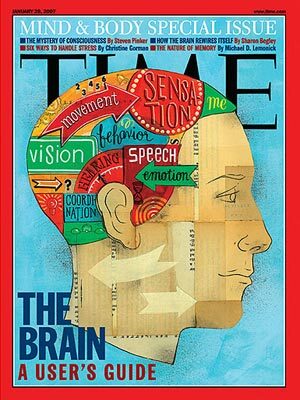 Below are some popular books and Time magazine’s special issue about the brain and its ability to change itself. 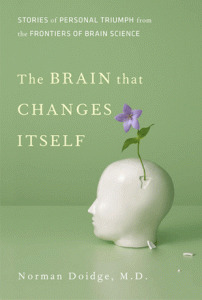 Dr. Norman Doidge’s book tells stories of amazing brain changes that people have experienced.